We are currently experiencing the boom of online marketplaces. With giants like Amazon, Ebay, and Airbnb at the forefront, everyone is finding a way to capitalize on this market. The time is now for becoming a marketplace entrepreneur! But building a marketplace that will stand the test of time and other competitors requires having a plan for your market and an understanding of how to create an environment that encourages user growth. Here are 9 things to keep in mind when setting up an online marketplace. There is always someone looking for a product or service to fulfill their needs. Your job is to understand those needs and fill the gap with your marketplace. Most marketplaces begin with a single concept. Amazon started out with just selling books, Uber started in one city before scaling worldwide, Air BnB started from a need of affordable housing options in San Francisco. All of the marketplace greats started with a target market and a specific need. They expanded as their user base grew. Your job is to identify what people want or need and get it to market before someone else does. It’s no secret that more and more shoppers are doing most of their shopping online. What’s interesting is that only about 8 percent of online shoppers use single store retailer apps and prefer to shop on marketplaces such as Amazon. This is because marketplace platforms naturally offer a variety of products, services and brands allowing the shopper to make quicker and more efficient purchases. 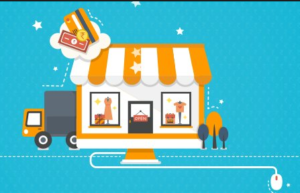 Online marketplaces make buying online simple and convenient. Curated commerce taps a merchant’s unique understanding of its customers’ lifestyles and product selections to deliver a store-like shopping experience. Merchants must create stronger connections with shoppers by carefully selecting product collections or services to offer that appeal to them. This trend helps the merchants develop a more indicative brand accent while elevating brand loyalty and increasing average sales. It’s simple. You don’t want the products in your marketplace to devalue the overall brand you have established. By creating guidelines for the products that are listed you avoid filling your marketplace with subpar products. Selecting vendors and products that help to enhance your company’s image are essential to enhancing your buyer’s experience. We buy with our eyes. You want to make sure your vendors or service providers are providing the most aesthetically pleasing image to potential buyers that entices them to click for more info or add to their shopping cart. Providing guidelines and tools for your users to create pleasing product or service images is crucial. No one wants to buy Aunt Fannie’s vintage tea cups if they look like they belong in the garbage dump. Encourage your users to plan out thoughtful, beautiful images when posting products or services. Everyone wants to feel like they got the best deal. In fact, most people scour the internet just to save on shipping or get an extra 20% off. Offering promotions within your marketplace – through recurring bookings, offering packages, or providing discounts – ensures that buyers will be more motivated to buy within your marketplace. It may even create boosted sales for your marketplace vendors or services providers. That’s a win-win! Marketing your business online is crucial for any business to succeed in this technology driven society. There are several ways to do this which include social brand awareness (through Facebook, Twitter, Instagram, or Pinterest) as well as teaming up with another business with a similar niche. Got a campground marketplace? Collaborate with a maker of hammocks, tents, or camping supplies. By cross promoting between your site and theirs, you can gain increased business for both parties. Over the last year, a new term has been on the rise – the sustainable business model. A business is all about creating revenue, providing quality service or products and helping people grow. Making sure your business is structured to benefit all parties involved, i.e. your customer, your vendors and yourself, you will create a win-win business. A customer wins when he/she gets value for the money they spend on a product or service. To achieve this, you must deliver more value than expected, because a delighted customer can quickly become a regular customer, and a regular customer can easily become a be a great referral partner in the future. The business owner wins when he/she makes a profit while enjoying what they do. Ensuring a win-win experience is crucial for the growth of any organization. It is the sustainable approach that will be beneficial in the remote future. The consumer dictates what you should carry in your marketplace. Each user has a different want or need, budget, and style. Making sure you have enough variety in your marketplace will keep users coming back for more. Failure to do so will make your marketplace fizzle out. Creating a marketplace with something for everyone will help increase ongoing growth and a higher customer satisfaction for your marketplace. As a marketplace owner, it is up to you to make sure your customers are having a worthwhile experience from first click to delivery. Keeping tabs on your users and their practices can help prevent a PR nightmare down the road. A great way to build trust between users and sellers is through the use of reviews, verified users, and product approval. By building trust into your marketplace you allow users to feel comfortable making purchases in your marketplace and can help weed out the less desirable merchants. By utilizing the 9 topics mentioned above, you can ensure that your online marketplace is one that users will enjoy whether they are a buyer, seller, or both. Increasing satisfaction of all users means they will keep coming back for more. Now that is a winning product for sure!